#3081 at North Freedom, August 18, 2001. #3081 and sister boxcars were built by the Mather Car Company in 1941, just prior to WWII, for lease to Ohio’s Akron Canton & Youngstown Railroad. Many smaller roads such as AC&Y found leasing cars financially and operationally advantageous. Although steel freight cars had come into standard use by 1941, the expanding war in Europe and apparent impending American involvement changed the face of new freight car construction. The U.S. government ordered the rail industry to use wood where ever possible in place of sheet steel in new freight cars due to a steel shortage. 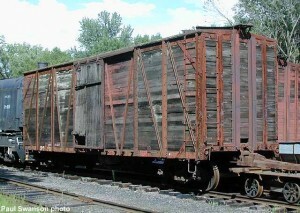 Dubbed “war emergency” cars, the boxcars resembled the early single-sheathed cars being built twenty-five years previously. In 1955, AC&Y no longer had need of the Mather-built cars, and they reverted back to the lessor. By this time, Mather had merged into North American Car Corporation of Chicago. The cars retained their AC&Y numbers, but were relettered with MCAX reporting marks. In 1970, North American donated #3081 to Mid-Continent. The car was shipped to North Freedom with four sister cars. Mid-Continent’s AC&Y “fleet” has been used in museum freight trains sporadically over the years, but currently serve for storage of materials and equipment. There is only one other AC&Y Mather boxcar known to exist today outside of Mid-Continent’s collection. 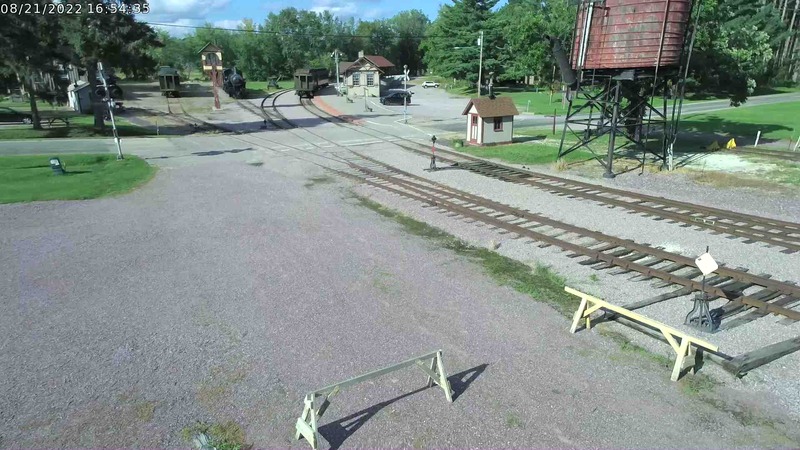 It is owned by San Diego Railroad Museum at Campo, California. The Akron Canton & Youngstown got its start in 1907 when a 7-1/2 mile line was proposed to extend east from Akron to Mogadore, Ohio to provide an eastern outlet for the Rubber City’s products. The first train operated in 1912. Although the line never reached its other two namesake communities, it prospered greatly. In 1920, the Northern Ohio Railway was leased and mileage exploded to 171, stretching west from Akron to Delphos, Ohio. In 1944, after eleven years of trusteeship, the Northern Ohio was officially merged into AC&Y. Eventually, management saw the impending consolidation of smaller lines into larger systems, and opted to sell the AC&Y to Norfolk & Western under favorable terms in 1964. The road maintained its identity until 1982. 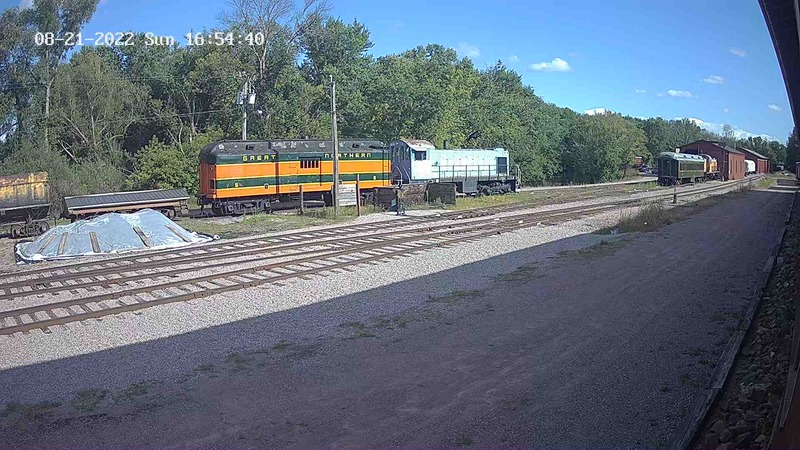 In 1991, Norfolk Southern sold the remaining AC&Y trackage between Carey, Ohio and Akron to new shortline Wheeling & Lake Erie which still operates today.